The Goal for me this year is 52 Finishes in 52 weeks help keep me honest and show off your own finishes at the same time its a Link A Finish Friday!! 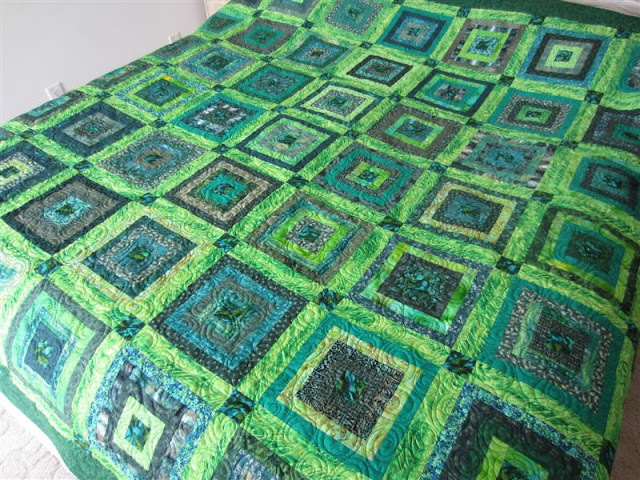 The most popular link last week was Green Donation Quilt which is a Queen/King size quilt. I finished 4 quilts this week, I have 1 in the wash for a finish latter Friday night and 1 rag quilt that wife still needs to cut and was so I had a great and busy week. I also am doing a giveaway which is open still for any one interested. The giveaway is to help my Sister In Law grow her Etsy business even if you don't want to buy any thing go show support and go favorite her shop or one of her items. Richard --- Thanks for the feature --- but it is a large quilt -- between queen and king! I love green and I love that quilt!